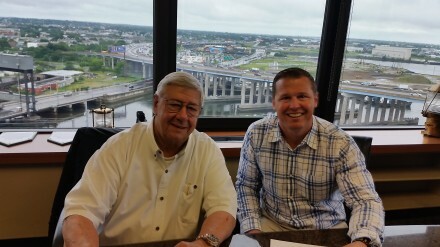 Robert Christoph Sr. and Jr. in their office overlooking Steelpointe Harbor development in background. What’s the economic impact of Steelpointe Harbor, the redevelopment of the East Side with Bass Pro Shops as the anchor tenant? It’s been a long elusive question that has never been fully rolled out publicly by city officials, perhaps because city-controlled parcels were acquired by the developer in stages. As progress continues OIB reached out to Economic Development Director Tom Gill and sat down for an hour-long chat with Steelpointe Harbor developers Robert Christoph Sr. and Robert Christoph Jr., principals of the Miami Beach-based RCI Marine Group and its related companies such as Bridgeport Landing Development, for an update on plans and a review of the associated financials. The project is now among the top 10 taxpayers in the city, according to a review of city tax assessment records. Property tax payments–about two thirds of which are returned to the district to cover infrastructure improvements–and personal property taxes combined for the budget year that started July 1 represent nearly $1.4 million. Tax payments will grow as the project builds out, according to the developers. –Bridgeport Landing Development has spent more than $5 million on city property acquisitions. –Property tax payments for current budget year $1.3 million (first payment due for July has been issued to the city). The number will grow with construction of the Dockmaster’s Building and upcoming residential component, with an additional 300 construction jobs over the next 18 months. Under the financing approved for the district, the city keeps first $400,000 of real estate property taxes annually and all personal property taxes. The remaining tax receipts are given back to the district toward infrastructure costs. –Building permit fees paid to city to date more than $500,000. –Personal property taxes from Bass Pro, Starbucks, T-Mobile and Chipotle’s, $65,000 for this budget year. — Construction costs for current tenants, Bass Pro, Starbucks, T-Mobile and Chipotle’s, $48 million that included 400 construction jobs for nearly two years. 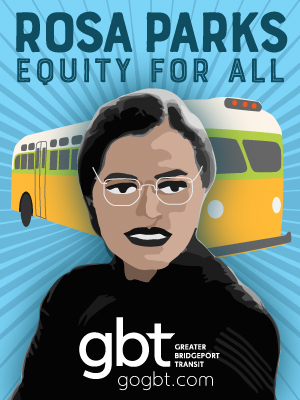 –More than 250 permanent jobs, with more than half Bridgeport residents. –More than $50 million combined investment of federal, state, local and private dollars for infrastructure improvements including street reconstruction, utilities, separate sanitary and storm sewers, environmental and construction of the bulkhead and harbor walk. More than half is private dollars invested by the Christophs’ company Bridgeport Landing Development. — In May broke ground for the 35,000 square foot waterfront Dockmaster’s Building that will house a raw bar restaurant, retail and an engineering company accompanied by a harbor walk platform, marina and docks that Christoph Sr. estimates will be operational in about one year. 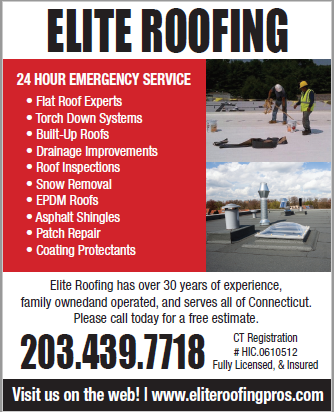 The engineering firm BL Companies doing work on the site is expected to occupy 4,000 square feet of the building that will also serve as the headquarters for Bridgeport Landing. — The site covers in total 52 acres including 44 buildable. The entire site is now controlled by the developers. — The developers increased the height of the bulkhead, with six feet of clean fill, following Federal Emergency Management Agency regulations in the aftermath of Hurricane Sandy. The entire shoreline area is now above the flood plain. 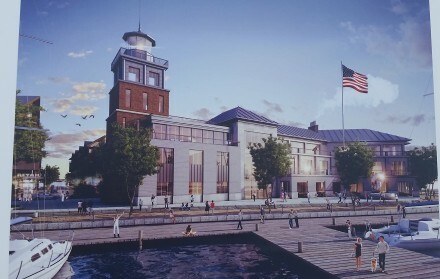 Rendering of Steelpointe Harbor Dockmaster Building. It’s been a long time coming powering through cynics but the vision of transforming a troubled area is now being realized. The redevelopment was first proposed about 35 years ago under the administration of Republican Mayor Lenny Paoletta. Nothing much happened on the site for more than a decade. In the mid 1990s under the first mayoral tenure of Joe Ganim, eminent domain initiatives and parcel purchases started the process for site clearance. The Christophs arrived on the scene as developers about 16 years ago. Over the ensuing years the city and developer worked through land disposition agreements that set forth land acquisitions, site clearance, remediation, bulkhead work and development timetable. The national economy tanked in 2008, once again slowing progress. After decades of starts and stops, doubters abounded. City, state and federal officials announced millions in grants for infrastructure improvements. 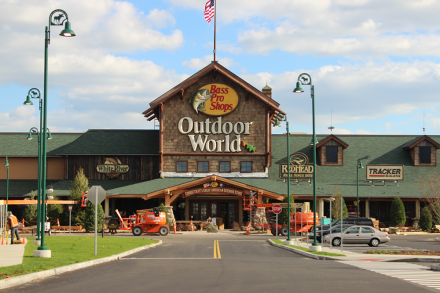 A major breakthrough came in the summer of 2012 when the mayoral administration of Bill Finch announced the site had hooked Bass Pro Shops, the mega outdoor retailer, for its first urban store featuring a marine theme. 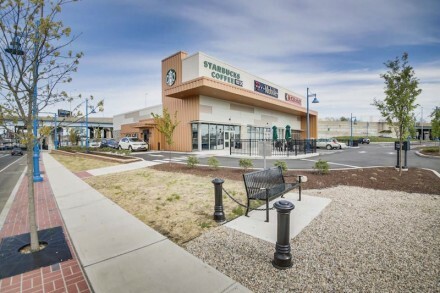 In the fall of 2015, the store opened, complemented by other tenants on the site such as Starbucks, Chipotle and T-Mobile, all with convenient I-95 access. For the Christophs, who’ve developed waterfront projects up and down the East Coast, the time commitment and investment is finally paying off, for both the city and them as investors. “In the future will we host regattas, fishing tournaments, boat shows enlivening the waterfront,” says Christoph Jr. A 2,600 foot harbor walk will eventually connect the development with Downtown, similar to a project they did along Miami Beach. The success of projects must be assessed over time but tenant input, according to the Christophs, reveals business goals are being achieved with an emphasis on hiring local people. Starbucks was first tenant to open doors. T-Mobile and Chipotle also in row. As activity continues, says Christoph Jr, “our story becomes easier to tell” in attracting other tenants. Landing a Starbucks, for instance, added credibility to tenant successes in addition to anchor tenant Bass Pro Shops. Christoph Sr. explained his interest in Bridgeport more than 15 years ago was all about location. “Bridgeport, from a waterfront perspective is unique,” he said. But so much of the waterfront was shut off to public access, something their vision for the site is transforming with construction of the Dockmaster and harbor walk. The developers have a unique bird’s eye view of their work perched on the 16th floor of 10 Middle Street Downtown peering across the waterfront. Navigating an old industrial site that included a utility, the permitting process, economic downturns, multiple mayoral administrations has been an exercise in patience and resilience. But now they say all the components are coming together and that includes the expected groundbreaking this fall for 180 units of housing, in the first phase of a residential component. And calls are coming from Fairfield County gold coast towns such as Westport inquiring about the development and residential piece. Fully built out over several years the developers say Steelpointe Harbor will be a 2.8 million square-foot mixed-use, urban-oriented waterfront project with 1,000 to 1,500 residential units , 800,000 square feet of retail, 200,000 square feet of commercial/office space, 300,000 square feet of hotel/meeting area, a new 200-slip marina with complete shore-side support. Futuristic rendering of Steelpointe Harbor. Generally speaking,this is an excellent and well written article. I do have a couple of questions. How many dollars of tax abatements have been granted to the Steelepointe Project? Is it ZERO or what amount?No mention of property tax policy with this project. There seems to be some more definitive planning for the Dockmaster’s Building. Frankly,the tenants for the Dockmaster’s Building does not take my breath away. Sounds like a potpourri of unrelated business. The OIB article did not mention any solid,signed off,written in stone projects. There was some announcement of a “Dave and Buster’s” at Steelepointe but Dave and Buster’s just announced a large presence at the Connecticut Post Mall/ Milford. Is it reasonable that a Dave and Buster’s(FYI.. I have never heard of this company) will have major retail footprints within 15 minutes of each location. Can we do some research and find out what is going on with the Dave and Buster’s BPT location? Also,what is going on with the theaters,hotels etc that were “announced?” Is this set in stone.Are there contracts signed? Beyond that,any and all retail component is questionable because “bricks and mortar” retail is changing by the day as we speak. Christoph et all should approach Amazon and offer as much square footage as possible. Most other retailers are questionable. As a personal observation, I have had no need to visit the present retail businesses at Steelepointe and everytime I drive by,the parking lots look empty,at the most 50% of capacity and I am being generous with that calculation. Also, a Dave & Busters at Buckland Mall in Manchester, Conn., east of Hartford off I-84. http://www.daveandbusters.com/locations. For what it’s worth, my experience at Steelpointe is different, It’s often hard to get a space at Starbucks and Chipotle. Frank, no property tax abatement for the developer, according to the Christophs. The developers, based on property it purchased from the city, took control of the entire site about one year ago. Frank, I’ve visited Starbucks many times including this week and it’s busy. Not easy to land parking spot. As for Bass Pro what they lack during weekdays is more than made up for on weekends, according to company officials. We’ll see what happens in long haul. all these big plans.However,IMHO,there are still a lot of questions about development on the Steelepointe project and much of it are generalities. Did the Christoph’s provide any other signed contracts for other tenants,construction..whatever?? for Steelepointe?????? Stealpointe is its own tax district which means EVERY tax dollar generated over the next twenty years can only be spent on the Stealpointe Tax District. Maria, as updated in story, a two-thirds portion of the real estate taxes is appropriated to cover the infrastructure improvements on the site, but not all. As the site builds out, and assessments grow, more tax dollars are generated for the city, in addition to the millions already generated by land sales and future personal property taxes. Great article Lennie…but let’s face the facts,first off,there isn’t going to be any movie theater built,hardly anyone goes to the movies these days,and those that do,go to the Trumbull or Milford theaters,no way can this area support another.Secondly,Dave& Buster’s was never coming,and the announcement that they are opening in Milford proves it.The hotel?,come now…My opinion is,that area will slowly,but surely become mixed,affordable&regular housing.Joe keeps on having press conferences and announcing all these developments,for the headlines and to promote his agenda of running for governor..Just my opinion..
Harvey, the headlines regarding the movie theaters and hotel were rolled out by Finch during the 2015 election, that’s not to suggest Joe isn’t prone to his own rhetoric. In this story I tried to focus on what is already there and prospects for future based on input from the developer which is why there was no emphasis on theaters, hotel, Dave & Busters, etc. What’s there now is much better than what the city had before. Dave & Busters will not put a location in Bridgeport if one ends up in Milford. Coincidentally, the CEO of Dave & Buster’s is a resident of CT. His wife works at Yale. Is that first 400K forever? The city will certainly get the short-end of the stick on that deal. Glad about the hotel. It was a mediocre Hotel and not worthy of the Steelepointe vision of a Hotel and Convention center. So: What is the attraction/theme here that is going to drive economic activity? Economic activity, in any event, requires people — with money… What offerings in Steelepoint will attract enough people with money here to create a viable/profitable situation for the owners and city? 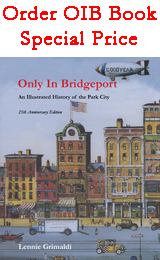 If Bridgeporters had decent jobs — and money — they would come, given the right attractions… And people from the suburbs are not likely to come to anything in Bridgeport in sufficient numbers to make it viable, even it were of interest to them… But there is little of interest at Steelepoint to draw anyone, in any event. It must be said again. Steelepoint: What’s the point? !